This October, Bronx Community Health Network (BCHN) is proud to participate in National Breast Cancer Awareness Month. Breast cancer is the second most common kind of cancer in women. About 1 in 8 women born today in the United States will get breast cancer at some point. - If you are a woman age 40 to 49, talk with your doctor about when to start getting mammograms and how often to get them. - If you are a woman age 50 to 74, be sure to get a mammogram every 2 years. You may also choose to get them more often. - Talk to a doctor about your risk for breast cancer, especially if a close family member of yours had breast or ovarian cancer. Your doctor can help you decide when and how often to get mammograms. 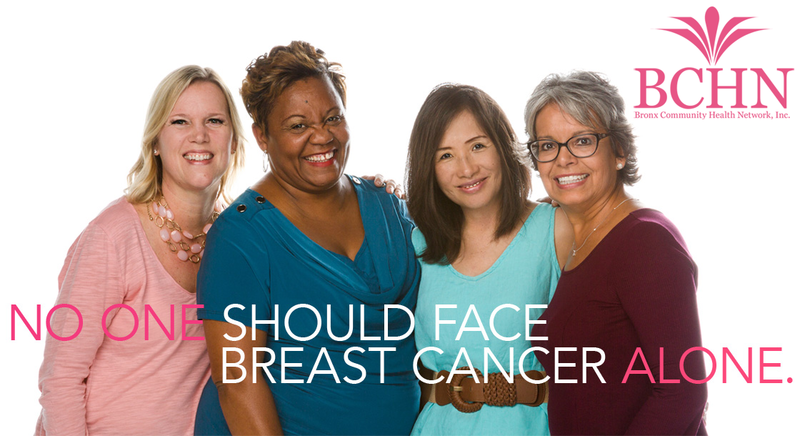 For more information visit nationalbreastcancer.org.